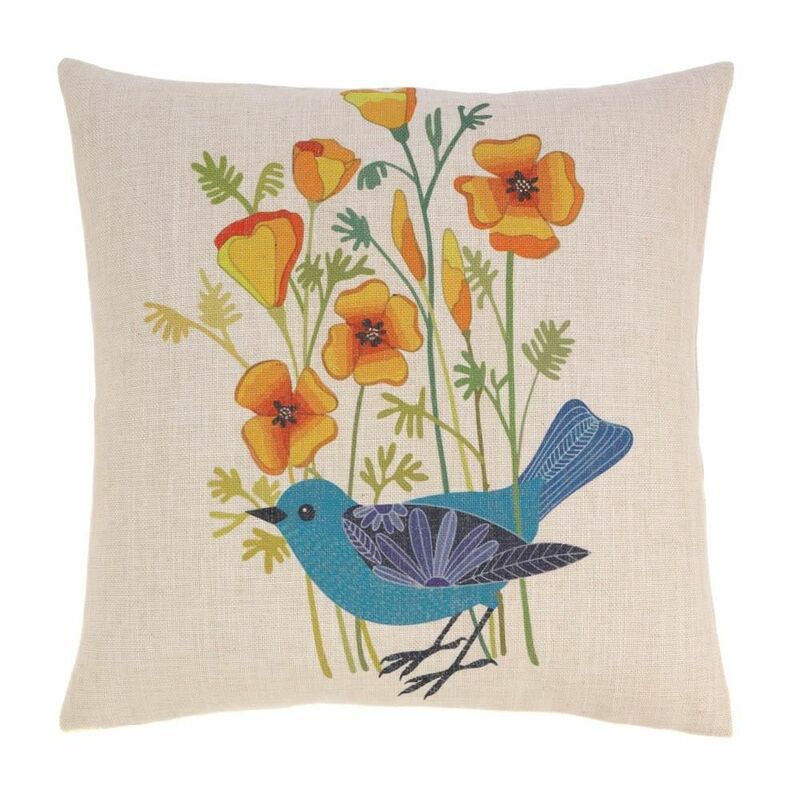 Blue Bird Decorative Throw Pillow 17" x 17". This little blue bird is happy as can be in his flowering garden of golden poppies! The finely detailed artwork is highlighted against the ivory background which brightens up any room in your home. Zippered cover for easy removal and cleaning. Machine wash cold. Do not bleach. Do not tumble dry. Iron low heat.